Sitting quietly and almost secluded in one of Tavira’s picturesque cobble streets, Brisa do Rio Restaurant will definitely stir up your dining experience as you indulge on some of Portugal’s best traditional dishes and regional wines. 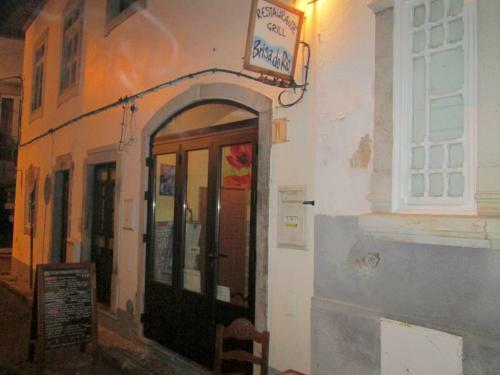 Brisa do Rio Restaurant is located near the Roman Bridge over Gilão River, which makes it very easy to find, as it usually fills up with guests outside in the narrow lane, where they set up a terrace with dining tables. If you are lucky enough to travel to Tavira with good weather, make sure you book a table outside, as the outdoor atmosphere will surely add up to your meal. Make sure you really do book in advance, as Brisa do Rio Restaurant, aided by the popularity it has been spreading both in Portugal and abroad, is always full from about 7 PM until late in the evening. Tavira, Portugal, is a very sought-after holiday destination during summer, but also other times of the year, so ensure your reservation even if you visit Tavira off-season. Although they are always seemingly busy and frantic, the waiters, who are also the owners at Brisa do Rio Restaurant are definitely the ones to make you feel comfortable and welcome, serving you enthusiastically, even if you have to wait a little longer in-between courses. 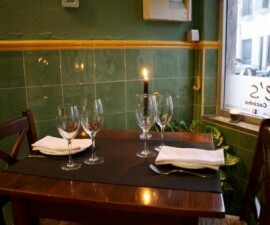 Brisa do Rio Restaurant is known for delicious grilled dishes at reasonable prices. The portions are usually very generous, no matter what you order, and there is plenty to choose from. Regardless of your mood, grilled fish and meat dishes, with a slight twist, are a favourite at this restaurant and always account for a wonderful meal choice. For starters, tomato with mozzarella cheese, fresh tuna salad or the piri piri shrimp make up for a lovely beginning, followed by grilled salmon, grilled sea bream or the codfish cataplana, are definitely worth a try. The roast lamb or one of the chef’s special grilled steaks, such as the ‘Portuguesa style’ steak or the ‘Diana style’ steak, will make you cry for more. 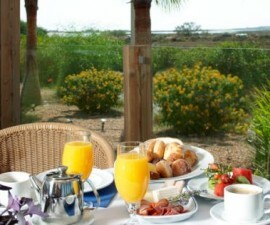 To accompany the extensive menu, there is a very good wine list available containing very respectable Portuguese wines, from Mateus Rosé to Quinta Barronco Longo, one of the Algarve’s wine treasures, carrying a very rich and unique fruity flavour and perfect to go along with meats. Brisa do Rio Restaurant is one of Tavira’s perfect places to bring your family for a nice meal, your friends, or even as a couple.